Take the time to understand your insurance coverage. 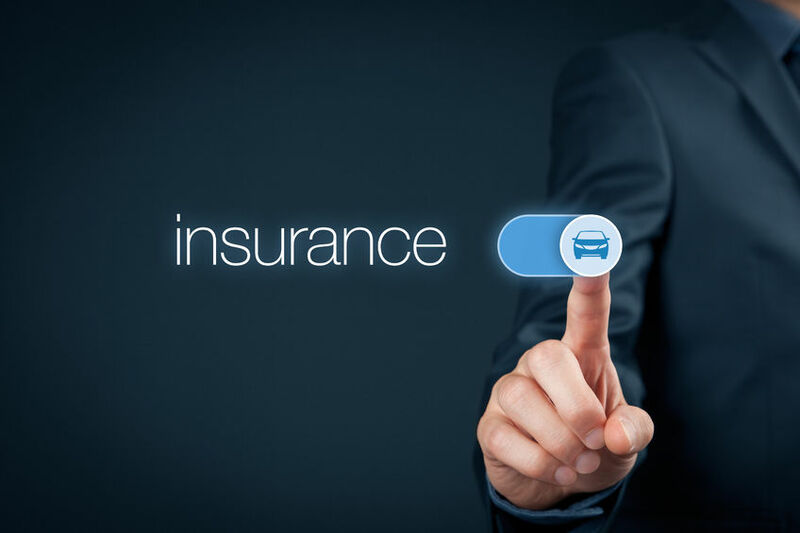 Many drivers don’t carry enough auto insurance to cover the damage from an auto or truck collision, let alone to pay for damages caused by a motorist that is not insured, or even a driver with inadequate insurance coverage. When you’re in an accident caused by an uninsured driver or a driver who does not have sufficient insurance, it is very important to understand what you need to do. First, meet with an experienced and knowledgeable car and truck accident attorney about your legal options. There may be coverage available that you won’t know about until your attorney files a lawsuit on your behalf. When you have been injured by another driver you may not be thinking clearly. Bring along another family member to doctor and attorney visits who knows you and will recognize injuries and other maladies that your attorney or doctor may not be familiar with. Go see your healthcare provider immediately if you have not already been treated. As experienced personal injury attorneys, we at Ron Voyles & Associates understand the intricacies of auto insurance policies and will seek the maximum amount that you are entitled to collect but we need to know the extent of your injuries. Be smart, get medical and legal help quickly. Here a few pointers on your auto coverage. If you’re in a car accident in Texas and you are at fault, you must pay for the accident. This type of insurance is called auto liability insurance. Auto liability insurance pays for the damage to the other vehicle and for the medical bills of the car’s occupants. In Texas, we have a minimum amount of auto liability insurance that is required by law. The minimum limits in Texas are $30,000 for each person that is injured up to a maximum of $60,000 per accident. There is also a minimum coverage of $25,000 per accident for property damage. If you look at your policy, it may be listed as 30/60/25 coverage. Think carefully about this coverage. The expenses add up quick and you may be personally liable for any excess expense. When you consider an auto or truck collision, with you at fault, there may be a claim for medical expenses, auto repair and or replacement if the vehicle is totaled, and also lost wages, car rental, and even pain and suffering. Chances are, if you have a new vehicle, then you may owe money on the vehicle. If you owe money to your lender then you are required to purchase and keep in place collision coverage on your car. Collision coverage will cover the cost of repair to your vehicle. If your car is totaled, then the policy will pay the cash value of your vehicle. When you buy a new car, the minute you drive off the lot your car goes down in value. Therefore, you probably owe more than your vehicle is worth if you financed the total amount of the purchase of your car. If you get in an accident in this early period of your loan, you will probably be upside down on your loan. In other words, you owe more on the vehicle than insurance company will pay you. In addition, if you still owe money on your car, your lender will require you to have what is called comprehensive coverage. Comprehensive auto coverage will cover things like damage to your vehicle by hail, fire, theft, other hazards other than a collision. Personal injury auto insurance is another required type of insurance in Texas. Texas law requires you to have at least $2,500 in PIP or personal injury protection in the event that you are in an auto or truck accident. The coverage will pay for medical bills, funeral expenses, and up to eighty percent of lost income in the event of a car crash. If you so choose, you may opt out of this type of coverage, but it must be done in writing. This is yet another type of auto insurance and it covers expenses if you are hit by another driver that does not have adequate coverage or are flat out uninsured. It also covers expenses from hit and run drivers. This is another type of coverage that you don’t have to have but if you reject this coverage you must do so in writing. You may also have other policy riders available by your insurance carrier. Check with your agent. It is always better to be over covered rather than under covered. How much money do you keep available in your account that is available if you are hit and injured by another driver? As personal injury and car accident attorneys we see this situation daily. Simple diagnostic tests like a CT Scan or an MRI can cost you thousands of dollars. What is it worth to you to know if you are badly injured in a car crash? Our advice to carry much more that the minimum amount of coverage. It won’t cost you that much to increase your limits to $100,000/300,000 for your liability and $10,000 for your auto personal injury protection. Bills add up quick when you are unable to work. Call your car insurance agent or look over your policy to see that you are adequately covered. If you are the victim of a car or truck accident, call a car accident attorney that you can trust. At Ron Voyles & Associates we have decades of experience in helping the victims of auto and truck collisions. If you have been injured, call us today.